The Kavli Prize medal was crafted by American artist Eugene Daub, who also designed the portrait on its obverse side. 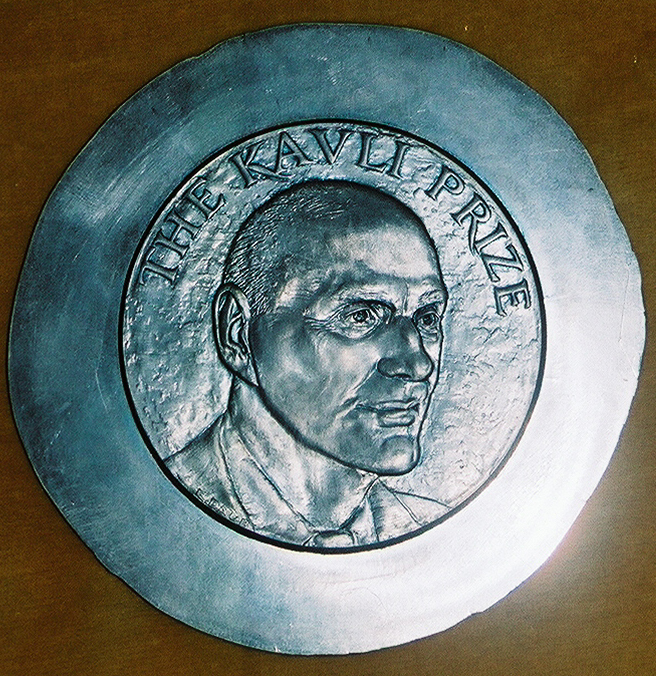 The Kavli Prize emblem on the reverse side of the medal was designed by Norwegian-based design artist Enzo Finger. 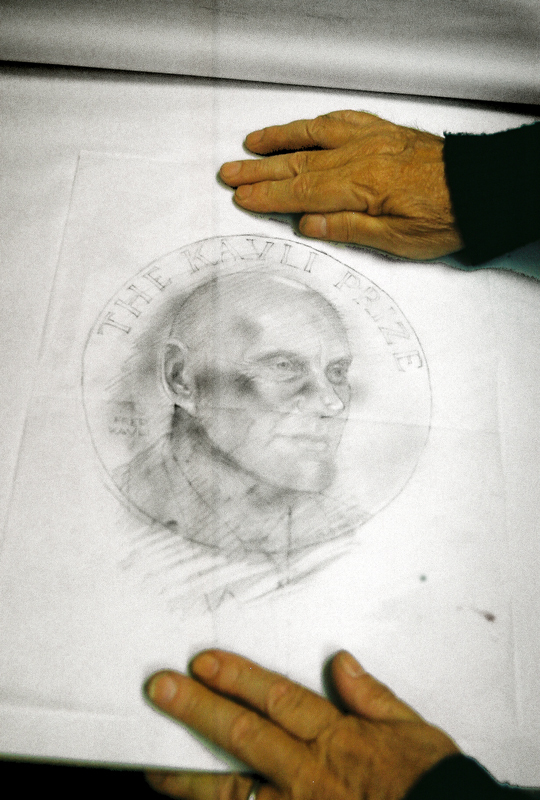 In describing the creative process, Daub noted: “In designing the portraiture for this medal, it’s particularly important for the profile to be truthful and accurate. By beginning work on a larger scale, it makes possible including greater detail, which then tightens upon the reduction in scale." Eugene Daub is renowned for his work in medallic design, as well as full-figure, monumental and bas-relief sculpture. Trained at the Pennsylvania Academy for the Fine Arts and the University of Pittsburgh, Daub’s prior work includes designing the National Constitution Center’s Philadelphia Liberty Medal, which has been presented to dignitaries such as Nelson Mandela, Kofi Annan, Mikhail Gorbachev, and three former American presidents. Daub has also designed the Medal for the Tiffany Prize sculpture for the Hilton Humanitarian Prize. His work is in the permanent collections of the Smithsonian Institution, the British Museum, and the Ellis Island Museum, while public installations include the USS San Diego CL-53 Memorial in San Diego and a 17-foot Lewis and Clark expedition relief in the Montana Senate chamber. Recent work includes serving on the sculpting team for the Harvey Milk Memorial Scupture in San Francisco's City Hall. His many prestigious awards and honors include the Arthur Ross Award for sculpture from the Institute for Classical Architecture and Classical America and the American Numismatic Association Gold Medal for Lifetime Achievement in Bas Relief Sculpture. Enzo Finger is one of Norway’s most prominent graphic designers whose work includes designing the country’s stamps celebrating the centennial of the Nobel Peace Prize, the design programme for the Royal Wedding, and other prestigious, commemorative artwork. His firm, Enzo Finger Design AS, has received numerous awards, and as been a frequent recipient of the Visuekt award (Annual Norwegian design award) and the annual Norwegian Design Council's Award for Design Excellence. Working sketch for the Kavli Prize medal. 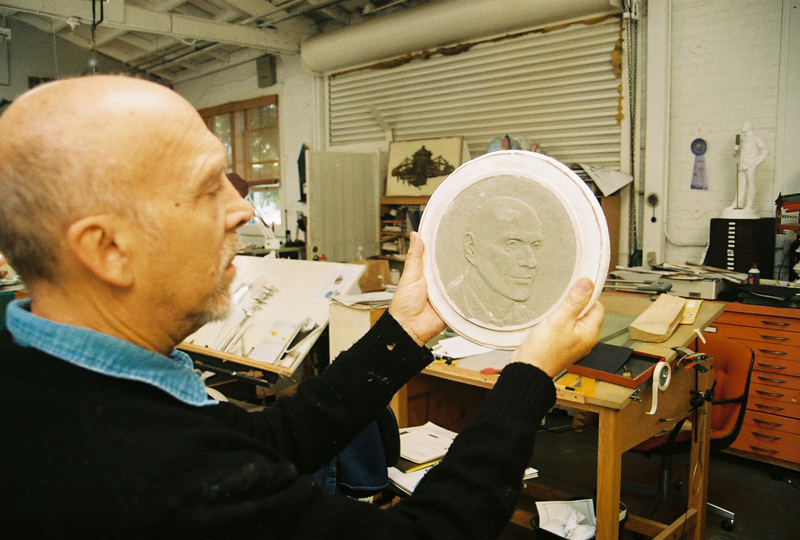 Eugene Daub holds the plaster mold of the Kavli Medal. The observe face of the Kavli Prize medal after it has been struck in lead. 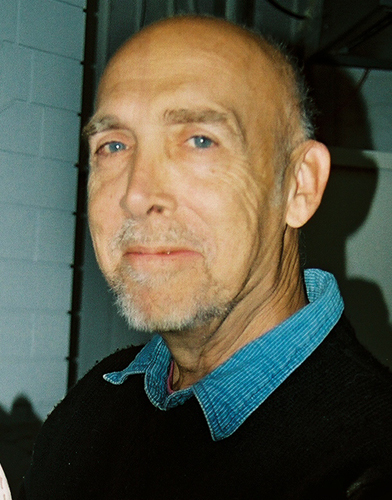 Eugene Daub at his studio in San Pedro, California.